Primarily we work with and for graphic design agencies, marketers and web masters and provide them with reliable and jargon-free services including: web programming; hosting; support and ongoing maintenance. 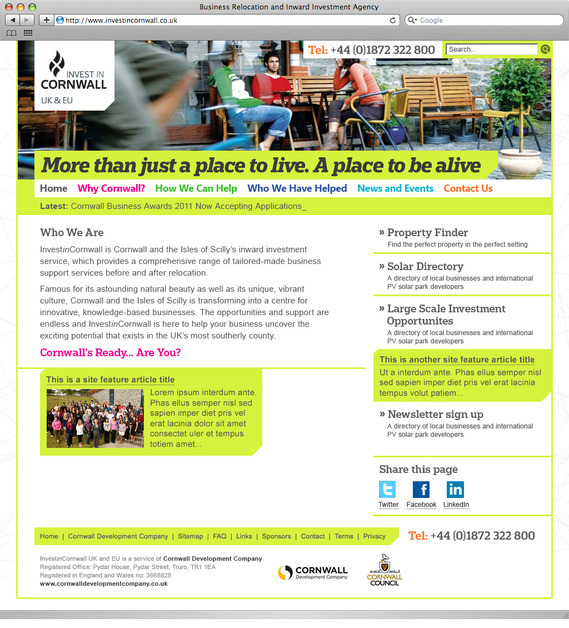 This is a screenshot of a recent website rebuild for Invest in Cornwall UK. The 400 page site is managed by the client using our easy to use point-and-click editor (CMS) and hosted and maintained by us.